100% On-Demand Cloud Security Camera System – It’s ready when you are. 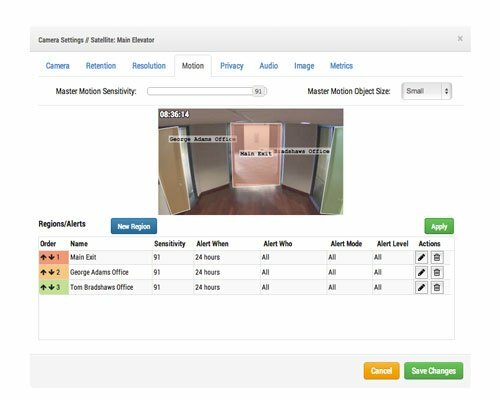 The Rigstar Cloud Security Camera VMS provides 100% cloud management, 100% mobile and web browser viewing, and if you want – 100% cloud recording. Architected from the ground up to be all cloud all the time. You can click and add a camera at any time. You can click and change how long you keep your recordings. Its ready to go when you are. Pay only for what you need. It eliminates all the headaches of traditional systems. No software to buy and install, no license keys, and no OS to maintain. 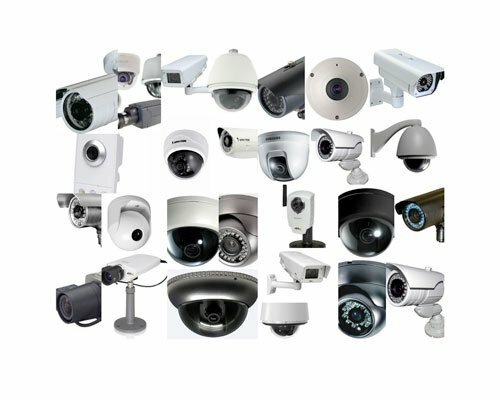 The security camera system has also been designed to store video at a specific location through a bridge and recorder system. The remote managed devices act as a video gateway from the cameras to the cloud. There are two types of these devices – a Bridge, which provides local caching of video, and a Cloud Managed Video Recorder (CMVR), which provides long-term, on-premise video storage. Customers who choose to deploy a Bridge onsite will automatically have all of their video stored in the cloud. The CMVR provides the option to choose where the video is stored. Customers are no longer limited to the confines of on-site hardware. Simply choose where to store some, or all of the video; in the cloud or on the local device. Rigstar Cloud-Premise Flex Storage gives you flexibility. Cloud storage is great for most video, but sometimes you need on-premise storage as well. 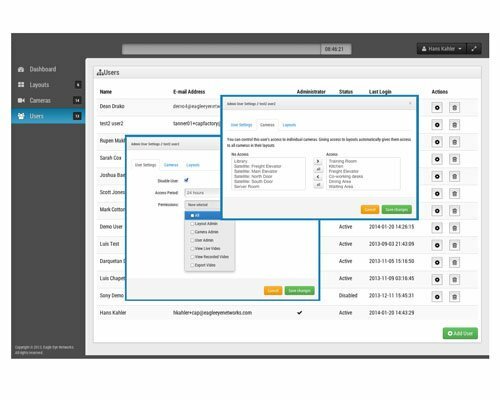 The cloud security camera VMS lets you select what video is stored on-premise and what video is stored in the cloud. Choose by camera, by time, by resolution. 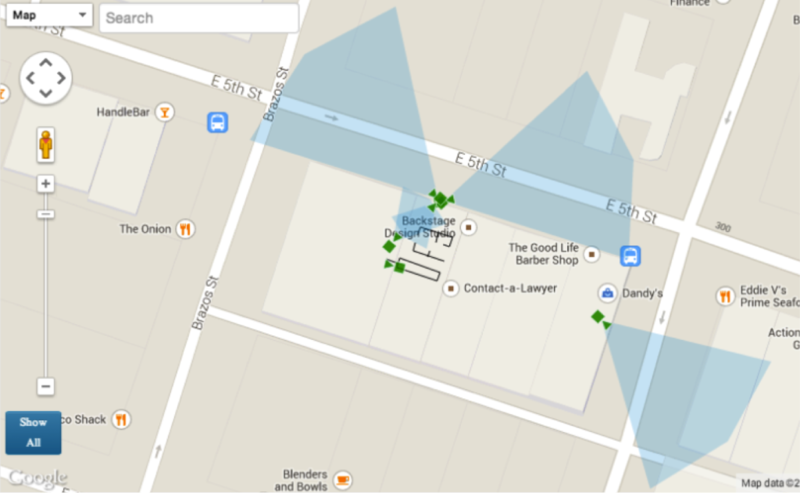 Record to both locations for reliability and redundancy. Optimize your bandwidth. The interface stays the same regardless of where your video is stored. 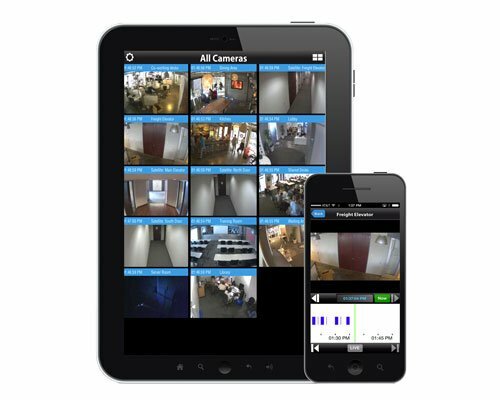 The Rigstar Cloud Security Camera VMS comes with free mobile applications that implement full functions. View live video, navigate and search historic video, turn cameras on and off, adjust camera settings, or email videos. With Rigstar Complete Privacy Encryption you know that your data is safe. All data and video is encrypted. Only the right people will get access at the right time.